What type of Coffee is best for the body? 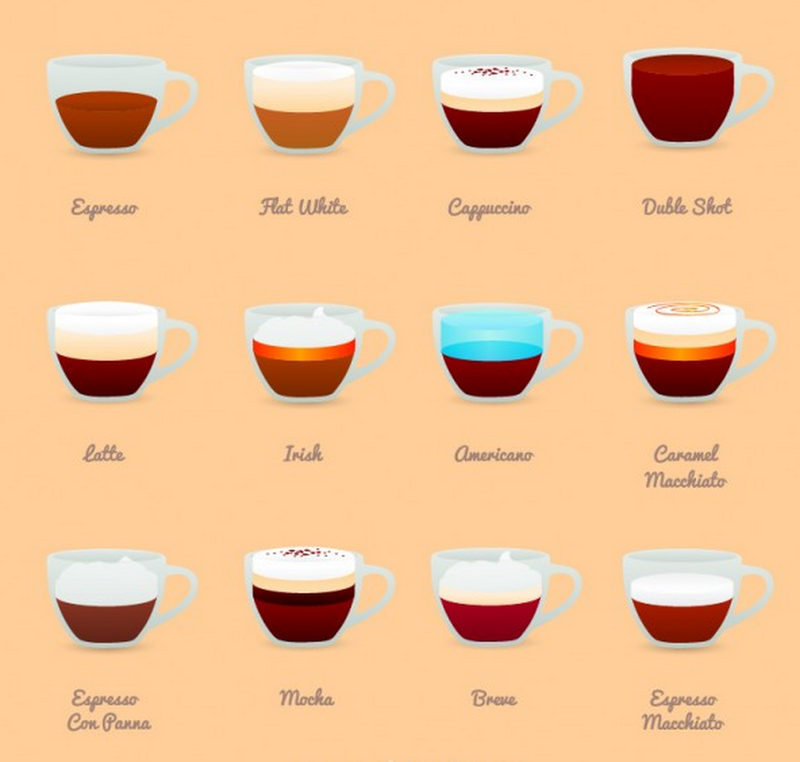 Although FoodieGuru prefers Tea over Coffee, the best type of coffee to drink is Arabica. Robusta has a neutral to harsh taste range and is often likened to having an “oatmeal-like” taste. When unroasted, the smell of Robusta beans is described as raw-peanutty. Arabicas, on the other hand, have a very wide taste range (depending on its varietal). The range differs from sweet-soft to sharp-tangy. When unroasted, Arabica beans smell like blueberries. Their roasted smell is described as perfumey with notes of fruit and sugar tones. Robusta coffee beans come from a resilient plant that is able to be grown in low altitudes of 200-800 meters. 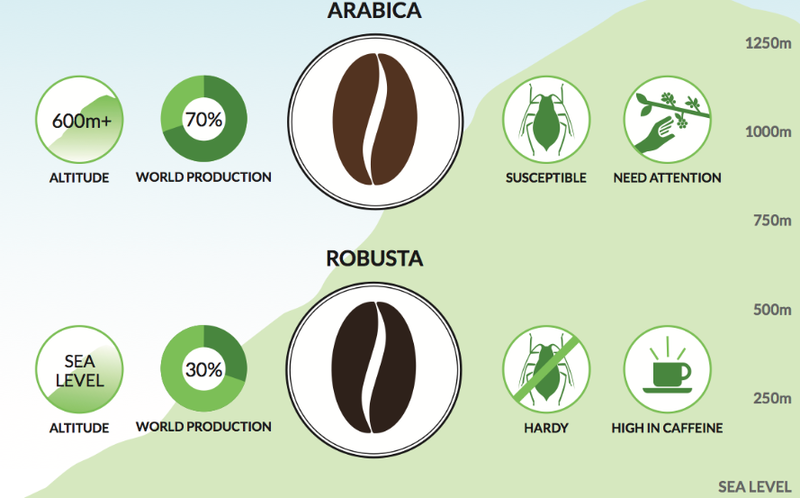 Robusta beans aren’t very susceptible to damage done by pests. Additionally, they produce more finished product per acre and require fairly low production costs. Contrariwise, Arabica coffee beans are fragile and must grow in cool, subtropical climates. Arabica beans also need a lot of moisture, rich soil, shade and sun. Because of their fragility, Arabica beans are vulnerable to attack from various pests and can be damaged by cold temperatures or poor handling. This type of bean also needs to be grown at a higher elevation (600-2000 meters). No contest! 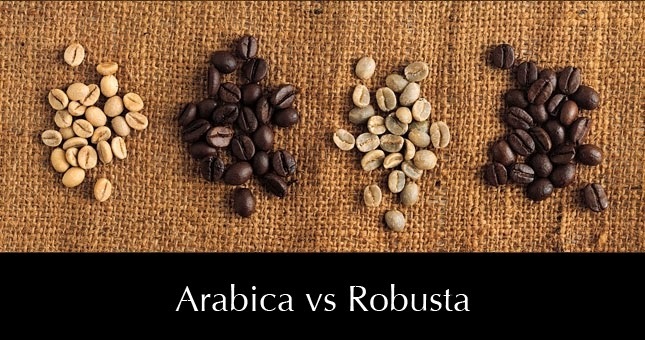 If you had to choose between an Arabica bean and a Robusta bean, it’s important to always choose Arabica. Robusta fosters use mono-cropping, the practice of growing the same plant every year in one place. It yields more space since it involves clear-cutting the forest for the crop. Because Robusta is more a resilient plant than the delicate Arabica, it can be grown in more places. Large coffee companies buy huge amounts of rainforest, clear-cut the land and plant Robusta beans. Robusta is often mixed with Arabica, allowing the coffee companies to save a pretty penny and serve you a crappy cup. Not to mention, mono-cropping, when done excessively, also erodes soil and demolishes nutrients making the soil nearly unusable. 1) Arabica beans have milder, more aromatic flavours while Robusta beans hold a bitter, more acquired taste. 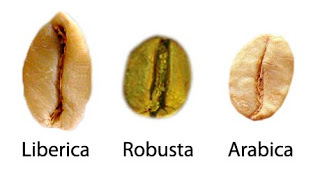 2) Arabica beans are flat and elongated while Robusta beans have a more obvious rounded shape. When they’re still on the plant, beans can easily be told apart by their difference in colour as Arabica beans are a darker shade of green than Robusta beans. 3) Arabica beans are cultivated in more subtropical climates and can be grown in higher climates in places such as Australia, Central and South America, at an altitude of 600-2200m, and the temps no higher than the mid-20s. 4) Robusta beans can be cultivated at lower altitudes – up to 800m – and require little rainfall to grow, making them more common to locations in South-East Asia and Central and West Africa. They can withstand temps up to 36 deg C. Over 70% of the coffee grown around the world is Arabica. 5) Although Arabica is generally known as the higher quality bean, there are many high quality blends of Robusta available on the market too. 6) Arabica contains almost 60% more lipids and almost twice the concentration of sugar than Robusta. Increased levels of sugars in coffee play an important role as its decomposition during roasting increase the level of perceived acidity and dissolved solubles in coffee. 7) Robusta is easier to grow than Arabica. 8) Arabica beans tend to have tones of sugar and fruit, while Robusta is more savoury, and some say harsh, although it can also have toasty flavours of chocolate and caramel. 9) Vietnam is the world’s largest Robusta producer, with Robusta accounting for 97% of Vietnam’s 25 million 60kg bags coffee output (in 2012/13), while Brazil produces the most Arabica, 53.1 million 60kg bags forecast for 2013/14. So when you are buying your next coffee, take the time to find out whether it is Robusta/Arabica/ Liberica. Of course the type of milk & sugar you add into it makes a difference, wait for the next post on types of milk! Hi Foodieguru..as coffee is a purely cash crop for a lot of farmers in the Southern Hemisphere and Equator, would aspects of product that are Fairtrade have a nicer feel, more beneficial to the communities and some maybe a part of the Organic Soil Association, or would this make a difference to the bean type quality at the consumer end?